The below content will also go on sale with the main game: DLC and other digital goods to let you further enjoy the world of D4! 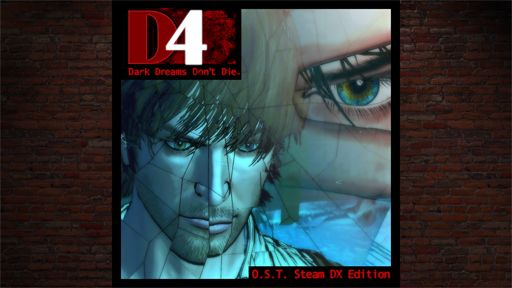 In addition to the game itself, the Deluxe Edition also includes the D4: Special Costume Set <12 Beers>, the D4: Special Art Book, D4: Season One Voice Over Script, and the D4: Mini Soundtrack. ※ Once downloaded, this content will be added to the base game. 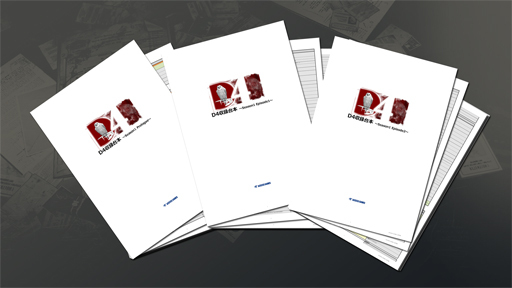 ※ The D4: Special Art Book and D4: Season One Voice Over Script can be viewed on your PC. ※ The D4: Mini Soundtrack content can be listened to on your PC. 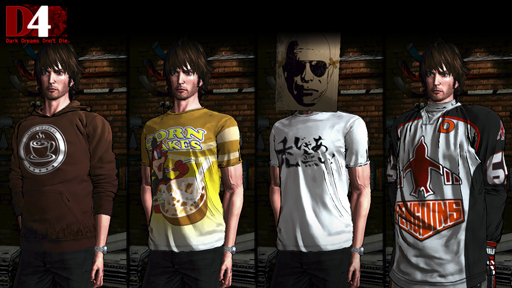 This pack features additional character costumes – a T-shirt for Young that provides very high parameter boosts, and costumes for the 4 main characters. ※ This content is included in the Deluxe Edition and Deluxe DLC Pack. 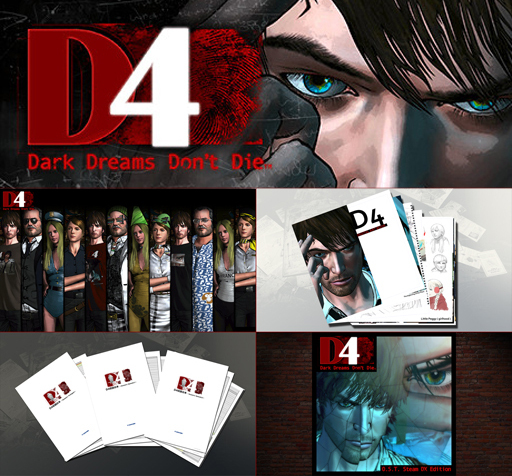 A special 44 page art book that contains rough sketches used in the development of D4. 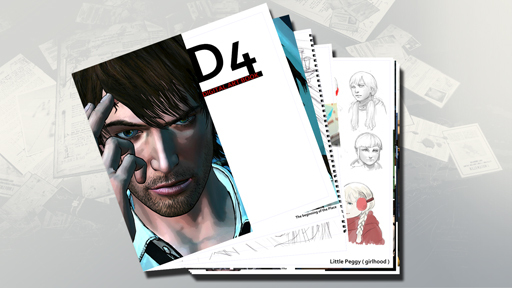 ※ The D4: Special Art Book can be viewed on your PC. The entire script to all of of the voice overs in the first season of D4: Dark Dreams Don't Die. ※ The D4: Season One Voice Over Script can be viewed on your PC. ※ This content can be listened to on your PC. 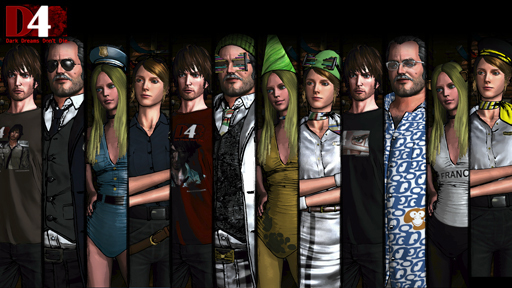 An additional character costume pack hand-picked by D4's director, SWERY! This pack contains 3 T-shirts and 1 hockey jersey for Young. Use this pack to further enjoy the world of D4! ※ This content is not included in the Deluxe Edition or Deluxe DLC Pack. 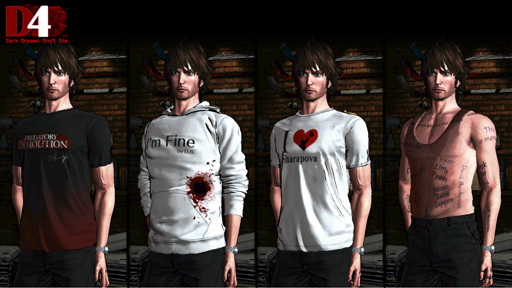 This pack contains 3 T-shirts and 1 upper body add-on for Young. 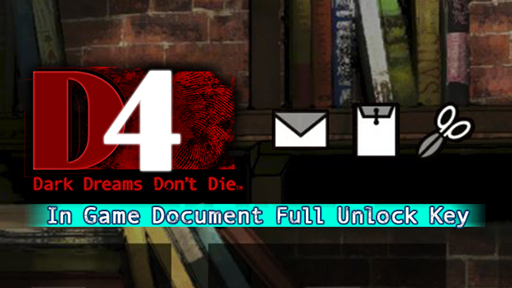 With this DLC, you will unlock all of the documents (Scrapbook documents, F.Kaysen's reports, and Little Peggy's letters) in D4: Dark Dreams Don't Die -Season One-. ※All of the above documents can be normally obtained in-game. ※This purchase will be installed into the base game upon download. ※This purchase is not included in the Deluxe version.